Howell Enterprise Incorporated d.b.a. Shelby Tire & Auto Service, known as Shelby Tire, has been in business since 1969, when my family began serving the City of Fraser and neighboring communities in a small Marathon service station. 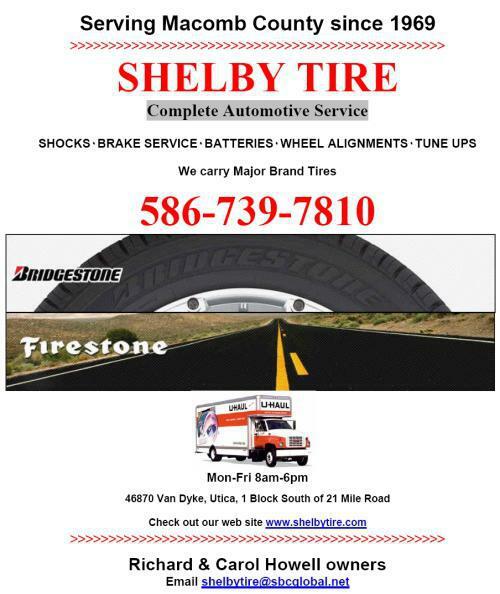 Now Shelby Tire has grown into a small business, serving the residents of Macomb County for over 40 years. Our goal as a company is to be the best automotive service and tire sales facility in Macomb County. By serving the community and it’s automotive needs, keeping our customers safe, and supporting the local community, along with the exceptional quality of our workforce, we expect to grow within our community.